Situated in the crossroads of Europe, Asia and Africa, Greek is a country with abundance of charms. Popularly hailed as the country of voyagers’ paradise, its spectacular seas, and picturesque islands offer a great adventure for holiday goers. Yacht charter Greece is our selected service offerings by globeyachtcharter.com, and we do it professionally with our signature finesse. For the benefit of those planning to explore the breathtaking islands of Greece, we have a reasonable fleet of modern yachts for rent. There are many historical sites and eye captivating bays in this beautiful country. At least, once in a life time opt for greece yacht charter, so that you won’t regret later. Diving, sea-cycling, sailing, water-skiing, surfing, kayak, and fishing some of the activities that can you can indulge in after anchoring your yacht in the shores. Maybe we are most known for luxury yacht charter in Greece, but bareboat charter is our unique service made fir sailing enthusiasts. 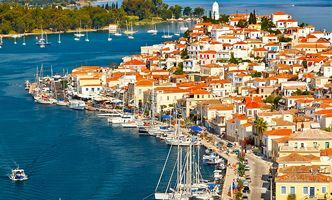 It is hard to find better option for family sailing than skippered yacht charter from Athens, in addition to our acclaimed service offering yacht charter Croatia. How to choose most suitable boat? Choosing a yacht for charter in Greece is not an easy task. 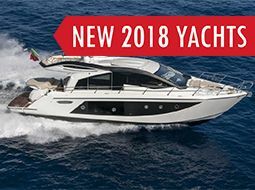 First, you have to know what type of yacht is preferred, and even more importantly, you have to know what is your estimated budget. Pick between wide range of superyachts, sailing yachts, catamarans and gulets. Sailing holidays in Greece is the ideal for all profiles of guests, from groups of young people ready to party, families with children to older people that just want to enjoy the serenity of quiet sailing Greek islands. It is possible to rent a bareboat and skipper your own boat. Or you can opt for skippered option, and let professional deal with maneuvering and maintaining the yacht. Rent a yacht in Greece, and enjoy cruising the beautiful Mediterranean sea. Historical sites, ancient towns, clean sea and stunning bays, these are all things that make Greece most desirable destination in the world. For affluent individuals and groups who want to spend their holidays on a Luxury MegaYacht, we offer fully crewed yacht charter service. GYC large fleet includes top selected yachts from renowned manufacturers. Our luxury super yachts are available only in all inclusive form, and are aimed at those wanting the ultimate in comfort and extravagance. GlobeYachtCharter also offers VIP Service from organizing private jet, helicopter or boat transfers to private concierge. Yacht prices ranging from 1,000 € for small sailing boat, 8,000 € for mid size catamaran charter to over 500,000 € for mega luxury yacht in Greece. If you would like to have a peace of mind, and not worry about the yacht, have one of our experienced skippers do that for you. When you are cruising along with your family, you expect to enjoy your time together without need to worry about the maintaining the boat. And that too, in yacht charter Greece cruising sojourn, you won’t be having that luxury to divert your attention to involve in self-service, since every moment of sightseeing is highly precious in richness. At globeyachtcharterc.com, we have many such crewed yachts for rent. And our chefs have mastered the art of cooking some of the delicious and finest Mediterranean cuisines. To render our other service on board the sailing charter Greece, we would be deploying a professional team with rich expertise. With the best of crew to serve you effectively, we strive to ensure your sailing yacht charter Greece a great and satisfied experience. 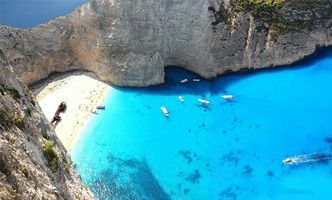 Perhaps, you have inquired across many operators to charter a boat in Greece. Indeed, you would have listened to many assurances. But, as a reliable luxury yacht charter Greece operator with thousands of satisfied customers, our testament is a proof our unflinching quality and richness in our yacht charter Greece service. 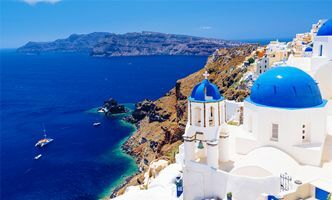 We have a highly committed team of professional, customer orientated staff, who can walk you through entirely about the Greece yacht charter trip and clarify your queries in perfection. Globe Yacht Charter is your reliable partner for great holidays, ready to organize your leisured cruising on a luxury yacht in Greece. From deciding which boat to book, to all required paperwork. Worry free and fast service are main characteristics of our company.